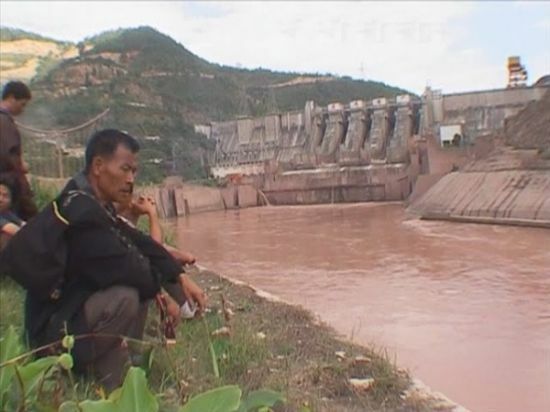 A movement that plugged a proposed mega dam in China’s Upper Yangtze River, saving the homeland of a hundred thousand people, is the star of a documentary airing at the 2nd Borneo Eco Film Festival (BEFF) this weekend. The Southeast Asian premiere of Waking the Green Tiger is co-presented by Land Empowerment Animals People (LEAP) and Save Sarawak’s Rivers Network (SAVE Rivers), as indigenous communities worldwide struggle to keep their lands. Seen through the eyes of activists, farmers and journalists, the film chronicles how rural communities bonded in desperation, organizing and building a green movement that caught the attention of the nation’s premier, and eventual cancellation of the dam proposed in 2004 at the scenic Tiger Leaping Gorge. LEAP Executive Director Cynthia Ong said indigenous communities have a right over ancestral land and must have access to reports and facts on projects that are planned for their villages. “Indigenous communities cannot be forced out for projects that do not even benefit them. In this documentary, viewers will see how villagers were shocked to learn that communities who had made way for similar projects were living in desperate situations. “Activists and journalists brought a bus-load of community leaders to meet with those who had lost their lands to mega dams. What they saw was heart-wrenching. Once farmers, communities displaced by the construction of the Manwan Dam in the 1980s are now reduced to collecting rubbish – sorting what they can sell to feed their families,” she said. In a Press release to announce the premiere, Ong said although set in China, the 78-minute film in English and Chinese is relevant to Malaysia and the Southeast Asian region. She said apart from struggles to stave off mega dams, some of which are planned for highly polluting energy guzzling industries, civil society movements are actively making their voices heard over a range of development projects and policies that are not in favour of the planet, people and wildlife. “We encourage activism as a process that will help us make Malaysia a better place to live in for all, regardless of what our social standing is. It is unfortunate that activism in this country is often viewed as subversive or negative, when it is an indication of an interested and aware public who are engaged in critical thinking and can help bring a healthy balance to the growth of the nation. “This film promises to resonate with the Malaysian public, the way it did with my colleagues at LEAP and SAVE Rivers. I encourage the public to watch it,” Ong said. 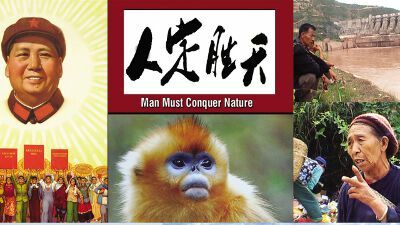 The film also tells the story of Chairman Mao’s “War Against Nature” that led to the destruction of lakes and other ecosystems, and which brought great famine when crops failed. Waking the Green Tiger has received the Best Canadian Feature Film Award, and is a finalist of the Green Film Award. Director Gary Marcuse was named Special Merit Winner of the Grantham Award for Environmental Journalism. The screening is scheduled for 6.30pm on Sept 30 at the Department for Culture and Arts Sabah Complex auditorium in Jalan Penampang, and admission is free. In another lifetime, June was a field biologist, searching for orang utans in the wild. She still dreams of living in the forests. Posted on 25 September 2012. You can follow any responses to this entry through the RSS 2.0. Read more articles posted by June Rubis.